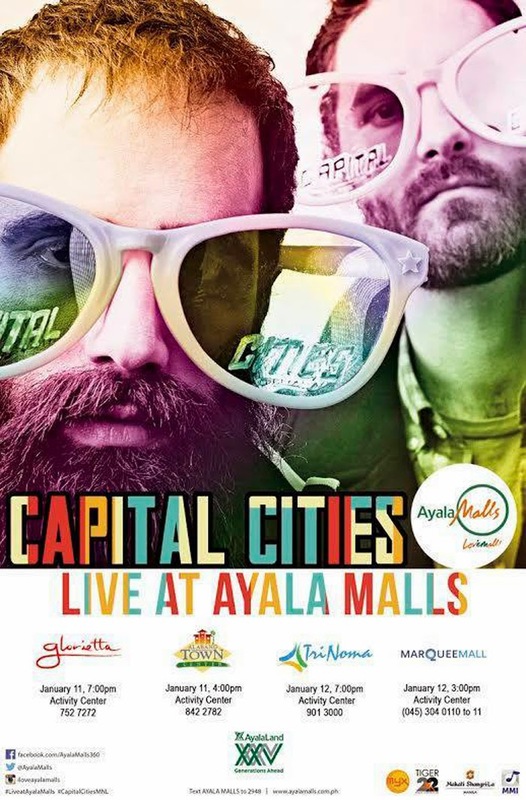 Capital Cities Invades Ayala Malls! 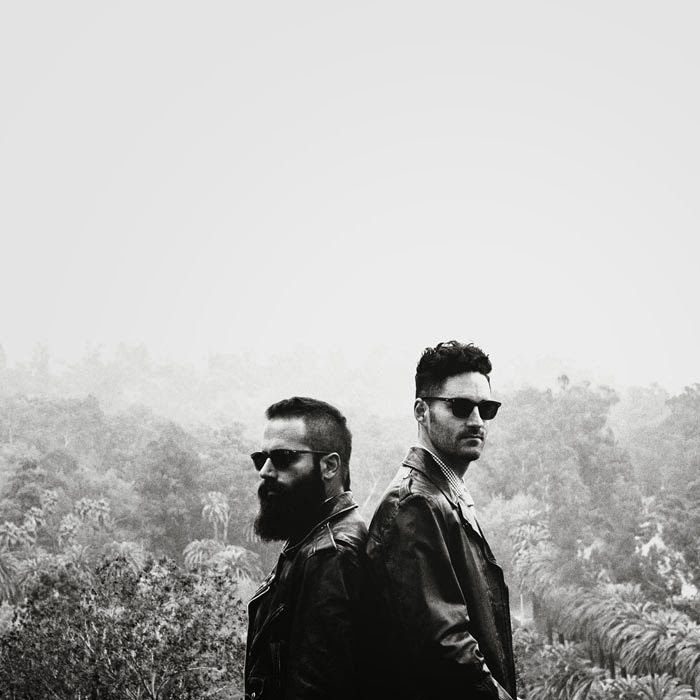 Los Angeles indie electro unit Capital Cities first came together as a duo of composers/songwriters Ryan Merchant and Sebu Simonian. The two initially met on craigslist in 2008 and worked as jingle writers until they formed the band in 2010. The duo released the digital singles "Safe And Sound," "Patience Got Us Nowhere Fast" and "I Sold My Bed, But Not My Stereo" among several others, which were compiled on a self-released EP. Eventually, Merchant and Simonian were joined by bassist Manny Quintero, trumpeter Spencer Ludwig, guitarist Nick Merwin, and drummer Channing Holmes. The band's debut album, In a Tidal Wave of Mystery, was released June 4, 2013, via Capitol Records in partnership with Lazy Hooks. 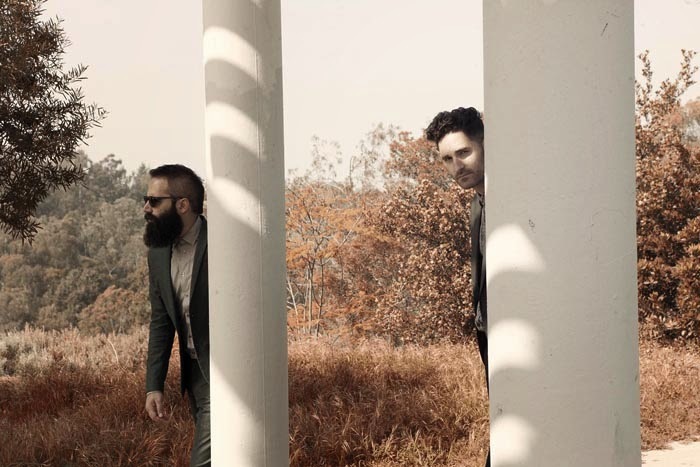 Hailed as an ode to humanity, harmony and a call to be more optimistic, Capital Cities’ hit single “Safe and Sound”, gained a lot of internet exposure, earning them the spot to top the billboard chart for Alternative and the German singles chart in 2013. They also sold out their tickets for the New York leg of their “Dancing with Strangers” tour 2 months in advance. The music video of “Safe and Sound” has also been nominated for Best in Art Direction and won the Best in Visual Effects at the MTV’s 2013 Video Music Awards, held last August 25. Just recently, their latest single “Kangaroo Court” has also topped the US Alternative Songs list, proving that their songs had caught the ear of millions of fans worldwide. Enjoy unique sounding hits from chart topping band, Capital Cities, in the Ayala Malls at the following dates: January 11, 4:00 pm at Alabang Town Center Activity Center and 7:00 pm at Glorietta Activity Center, January 12, 3:00 pm at Marquee Mall Activity Center and 7:00 pm at Trinoma Activity Center. Jumpstart the year right with cool vibes and tunes you’ll love brought to you by Ayala Malls! For updates, Follow AYALA Mall!